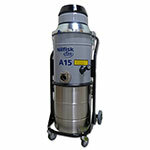 To address this very concern, Nilfisk developed the A15DX air-operated vacuum for the collection of combustible dust. It uses an anti-static filter to trap 99.7% of dust particles as small as 1.5 microns (with an optional upstream HEPA filter for particles as small as 0.3 microns). This industrial vacuum features a 50-liter stainless liter for maximum spark resistance, and it meets the latest NFPA 654 standards for the safe collection of combustible dust. To help you better understand and resolve the risks associated with combustible dust in the pharmaceutical industry, download the white paper. 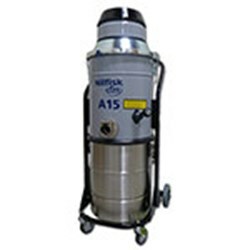 For additional information on the A15DX air-operated industrial vacuum, contact Nilfisk.